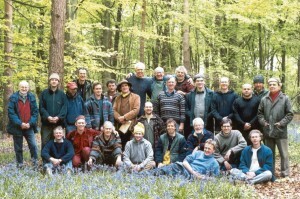 It’s interesting to think of how the men’s group that I got involved with in Devon first started. It was actually the women in the community where I lived at that time that brought in the idea. From their interest in sharing a women’s circle, and conversations about women’s work we men started to investigate what equivalent activities would be available for us. What was initially quite out of most men’s comfort zone grew over the period of 14 months into a beautiful, committed brotherhood of men. We met every 2nd week around a fire … to share, be witness and support for each other, and explore together what it means to be a man in these times. The reason it was uncomfortable in the beginning was that most of us were not used to being that vulnerable, open and intentionally challenged by each other. The way most men in these times, certainly in the context I grew up in, engage with each other is in the pub or other environments that are full of distractions, public, and giving an excuse to shy away from a deeper level of engagement and “seeing” of each other. Something that also normally doesn´t happen in the pub but which formed an important aspect of our men´s group was the meeting of generations, men of different age and backgrounds. All too often the only generational meeting for men happens between fathers and sons which, as beautiful as this can be, also often holds an emotional tension that makes it harder to be completely open and vulnerable. I found it highly rewarding to listen to and be heard by other men of a different age or upbringing as it brings not only new perspectives, trust and guidance but also creates a feeling of being grounded and helps to understand and relate to men who are at a different part of their life´s path.